Blog Quick Quotes: Fall Inspiration and Selphy Photo Cropping! Fall Inspiration and Selphy Photo Cropping! June here today to host the blog. This weekend my husband and I went on a fun adventure to Red Wing, MN (famous for shoes, pottery and gorgeous river views from the bluffs). I wanted to scrap the trip in our hotel room, but didn't want to bring a ton of stuff. 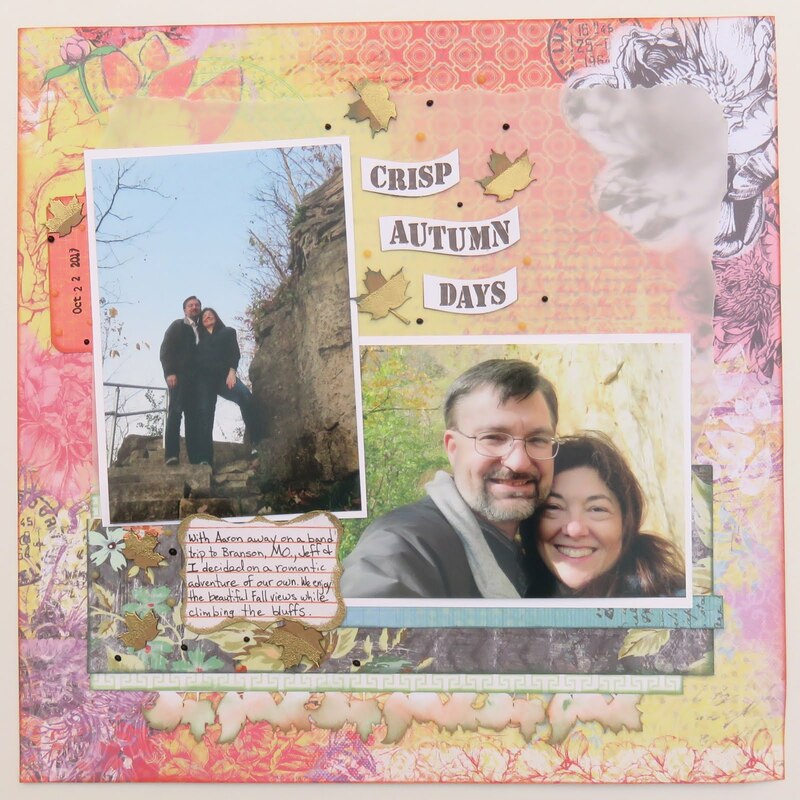 This is where having Quick Quotes' October Club Q layout kit and my portable Canon Selphy printer came in super handy. Everything I needed to create a great page was right at my fingertips. I love the new beautiful Sonata pattern papers that are featured in the October Club Q Kits, along with the amazing embellishments. 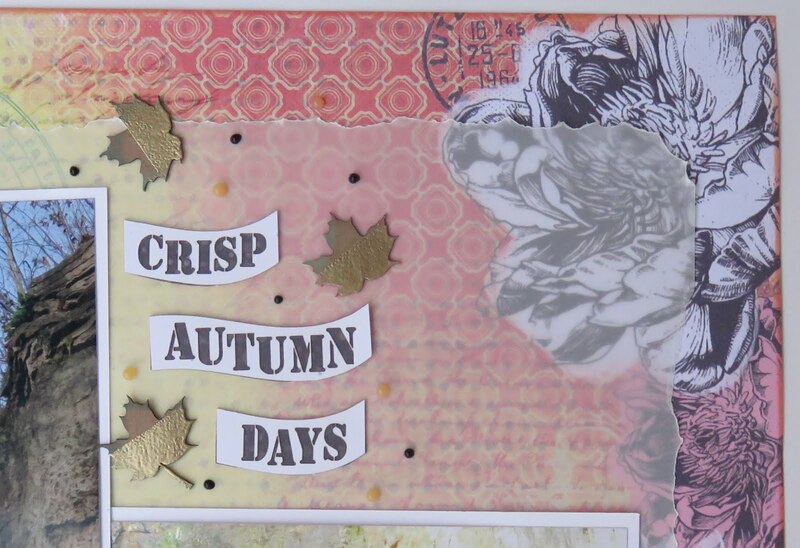 Almost everything you see on this page comes with the kit, even the title and chipboard leaf embellishments (which I heat embossed in gold). I only added Nuvo Drops and a little vellum to background to help the photos stand out. 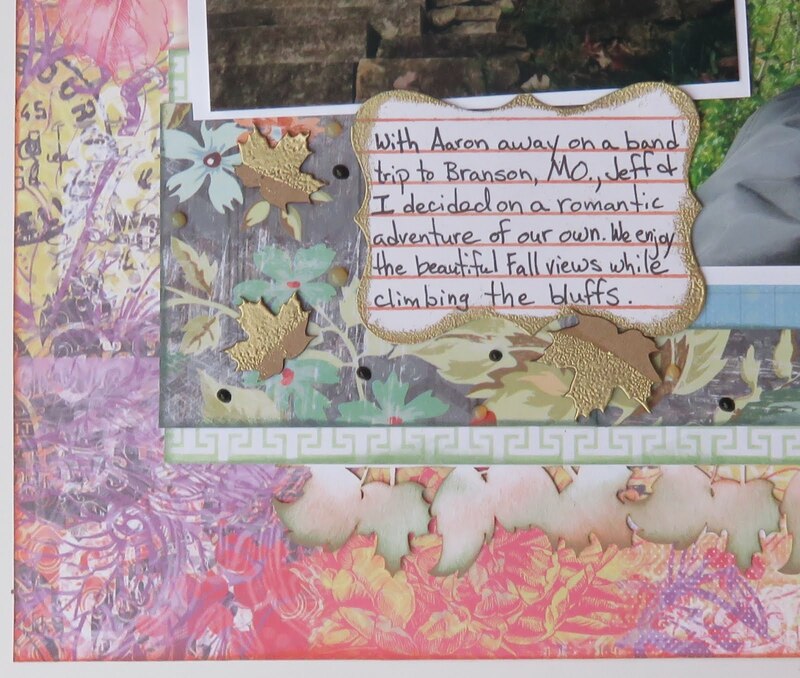 The papers were edged with PowderPuff Chalking Inks in Seafoam, Slate, and Peach Tree. Turn on the Selphy printer and load your photos. Use the arrows to scroll to the photo you want to print. Press Edit to enter cropping mode. Use the Back button to rotate the photo, if desired. Use the + and - buttons to zoom the print area, and the arrow keys to position it over the portion of the photo you want to print. 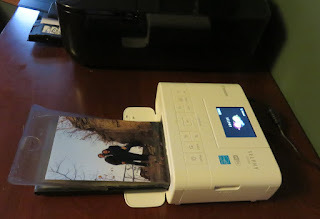 Select any additional photos you want to print, then press the "print" button. Viola!